"For that matter, few ideas are as crazy as my favourite thing, running. It’s hard. It’s painful. It’s risky. The rewards are few and far from guaranteed." If you want the Keys to the VIP for business, this book is a one stop shop. In Phil Knight’s memoir Shoe Dog he takes us through the inception of Nike to its IPO. It’s relatable, real, humbling and most importantly: unapologetic. What Phil and the other founding fathers felt and continued to try to define as Nike’s brand has remained true to this day. An incredible feat that didn’t go without its own turmoil and potentially career ending risks, Knight peels back the onion on it all. There is plenty to take away – everything from business acumen, marketing, sales, entrepreneurship, self-improvement, work-life balance, etc. You get it all from whichever lens you take. Below are some of my more noteworthy learnings. "Fear of failure I thought, will never be our downfall as a company. Not that any of us thought we wouldn’t fail; in fact we had every expectation that we would. But when we did fail, we had faith we’d do it fast, learn from it, and be better for it." I’ve heard (you may have as well) the term unapologetic used before. Typically in advice lists, like top characteristics of successful leaders or entrepreneurs. You read it, you think you get it, you move on. Knight’s story is the truest meaning of not just the word, but its essence. If you’ve ever thought about what it actually looks like or feels like in practice, Shoe Dog is it. 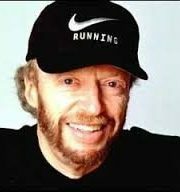 Phil Knight is first and foremost a runner, accountant by trade, Oregonian, and had a pretty good idea. Take all the stereotypical characteristics from those titles and put them together in the best way. His combination of intelligence, stubbornness, and relentless drive continuously drove his success. Was he always the best? No. Did he always handle things in the best way? Absolutely not. So why did he succeed? Because he went for it. He made decisions and he handled things in a way that was true to himself. Unapologetic doesn’t mean bulldozing over people or mistakes, Phil Knight is the opposite. He felt every rough patch. However, he didn’t let that stop them, instead he let it fuel them. Unapologetic is owning your responsibility as your true self. When you do that, you’re tribe will come (GEM #1) and they will stay with you (GEM #2). "Don’t tell people how to do things, tell what to do and let them surprise you with their results." What is most clear is that the success and creation of Nike was the accumulation of a hardworking and dedicated tribe. As Blue Ribbon grew and Knight continued to encounter all sorts of individuals, it was very clear to see who belonged. As the tribe continued to evolve and bring others in it they gained momentum. There was a common work ethic, belief, and understanding of what they contributed and what was expected of themselves and each other. All were asked to do things outside their skillset and comfort zones. All answered unwaveringly and with great success. The takeaway here is to not underestimate those you work with or are friends with that you feel “just gets it.” There are people you may have encountered that if you had the chance to build your own empire you would hire on the spot irrespective of the role (or even if it existed). They did that every time. In addition, Knight trusted that once a proven member they were fully trusted. They relied on each person’s best and worst qualities to keep each other accountable. Time and again different team members were entrusted with varying tasks and Knight gave them space to figure it out. This created deep personal investments and engagement from their team. No matter your friend group, work group, or if you’re starting your own business, consider your tribe carefully and how you create a culture for every member to be successful. "It’s never just business. It never will be. If it ever becomes just business, that will mean that business is very bad." Continuing the storyline from insight #1, the relationships that Knight and the team created always meant something to them. Even if it was dealing with bankers (who Knight often struggled with), competitors, or their endorsed athletes it was always meaningful and had a purpose to them. The hard relationships taught them invaluable lessons and their star athletes, customers, and business partners fueled their love and passion for what they were doing. Knight often scores himself throughout the book on how he thinks he did in certain situations. This occurs mostly in difficult situations where he would often give himself a sub-par grade. Some may see this as a quirk, but I believe it to be a fundamental indication of his successes. The ability to take situations, the good and the bad ones, and to critically evaluate and take meaning in them allowed Knight to stay humble, to not get ahead of himself, or repeat the same mistakes. I would argue this meant something to the tribe that created Blue Ribbon and eventually Nike, which they respected in him as a leader. The above quote (which Knight subtly drops early on) foreshadows the magnitude that Nike becomes at a time where he was struggling with the notion to even commit to his idea. A constant throughout the book is a true and unwavering passion for not only running (obviously), but sport in general. He often analogizes using running as an example. Problems were often solved by 6 mile runs or watching a race. You still feel this today, now across multiple sports, Nike’s unwavering commitment to the essence of competition and winning. Knight and the team never lost sight of this throughout their journey. Knight is an unapologetic entrepreneur who found and maintained a winning team (or tribe) that together created meaning in their passion to become the ultimate shoe dog.